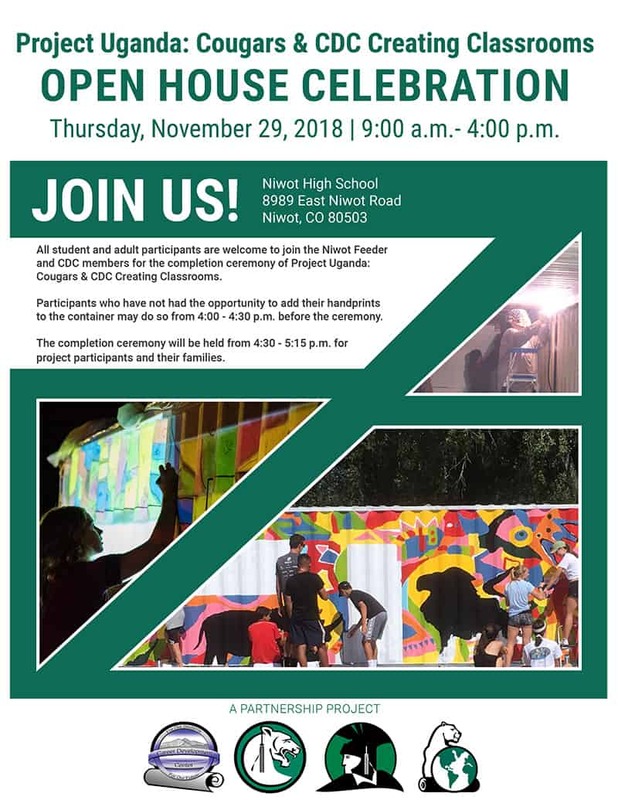 We wanted to extend this invitation to attend an open house event for the Niwot High School – Mwebaza container project. This would be a excellent opportunity to witness a finished product prior to shipping. Members of the project team will be available to answer any questions. 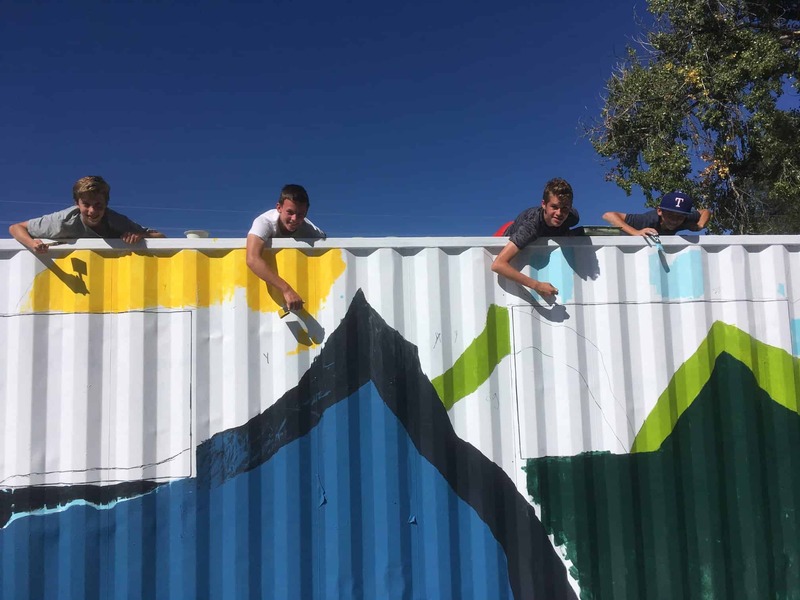 All student and adult participants are welcome to join the Niwot Feeder and CDC members for the completion ceremony of Project Uganda: Cougars & CDC Creating Classrooms. The completion ceremony will be held from 4:30 – 5:15 p.m. for project participants and their families.